They don’t exactly hover, they’re more “hands-free scooter” however, and they are more than just that. They are easy to learn how to ride and once you get the hang of it, it’s extremely fun. These motorized, self-balancing devices can also be an effective mode of transportation, capable of reaching speeds of up to 10 mph. Hoverboards come with different shapes and sizes and more importantly, they come at a variety of prices. The costs can vary depending on the brand and specifications of different boards. 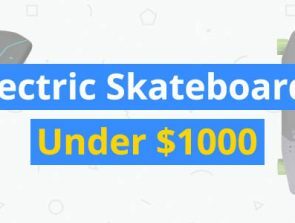 Expensive hoverboards usually feature high-end features and specifications. They are also from reputable brands to ensure their quality and safety. 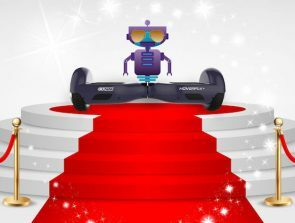 The Epikgo Classic is a hoverboard that pushes the boundaries of what a board should be like with its design and capabilities. One of the most notable features of the Epikgo is its design. At first glance, it looks like an off-road machine. The performance definitely agrees with that. The board is equipped with 8.5-inch all-rubber tires that’s perfect for driving over all sorts of terrain, from rough pavements to grass. 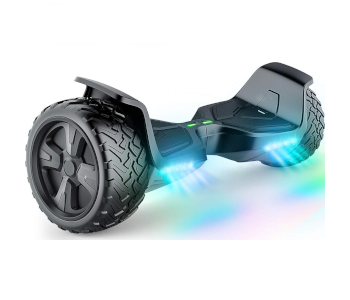 The board comes with two 400W motors that help propel it to a maximum speed of 10 mph and climb slopes of up to 15 degrees. It also comes with a powerful 4300mAh battery that gives the Epikgo a range of up to 12 miles per charge. Charging the battery takes 2.5 hours, in line with the maker’s claim of 2-3 hours. Outdoors and off-road is where the Epikgo Classic shine. The large knobby tires on the board are proficient at handling different riding surfaces such as grass and hard packed sand and dirt. The wheels also provide the rider with some cushion that makes it easier to ride through bumpy roads. 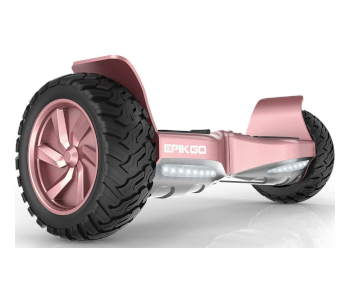 The Epikgo Classic hits the perfect balance between outdoor off-road capabilities and riding comfort. It does a great job at handling rough and bumpy roads as well as traveling on smooth pavement. 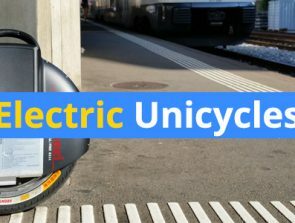 It also has a long enough battery life and range to keep you using the board whether for fun or for your daily transport needs to school or the office. The KooWheel Hovershoes are not your usual hoverboard. They’re more like if you saw a hoverboard in half and each foot has its own “hovering” platform. They are sleek and each hovershoe has handles that make it easy for you to pick up and carry. One particular note with the hovershoes though is that getting used to riding them is tricky initially. You will want to start out with a couple of supports to help you stand up on the wheels and find your balance. Each of the hovershoe has an auto-balance feature that activates as soon as you turn them on. All you have to do is press a button and step on them. This allows the hovershoes to calibrate and position themselves in a horizontal position. These hovershoes can get quite fast. They are lighter than most hoverboards and they can reach speeds of up to 7.5 mph boosted by a 250W motor on each shoe. It is equipped with a 2000 mAh battery that has a range of about 6 miles. One notable downside of the hovershoes is that they are designed to be ridden on smooth surfaces as they are sensitive to bumps and might knock off the rider. Asphalt and concrete are the perfect surfaces to use these hovershoes. 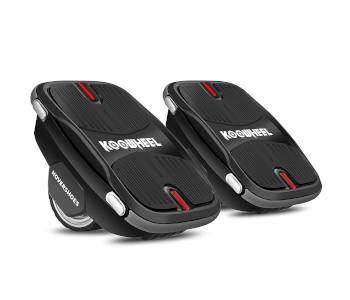 The KooWheel Hovershoes can definitely provide you with tons of fun. Although, they are not the ones to buy when you looking for an actual means of transportation. You can think of them as a kind of roller skate but with a modern take. The Lamborghini Off-Road Hoverboard is built in the style of Lamborghini supercars, which means they are eye-catching and are built to maximize performance. It is noticeably larger compared to your average hoverboards. It has more foot space providing you a more stable ride. The Lamborghini Hoverboard uses intelligent ride sensors that help you improve your riding and allow to ride more comfortably. The sensors also make riding the hoverboard more natural and effortless compared with other boards. One of the more interesting features of the Lamborghini Hoverboard is its capability to playback your favorite music with its in-built Bluetooth speakers. 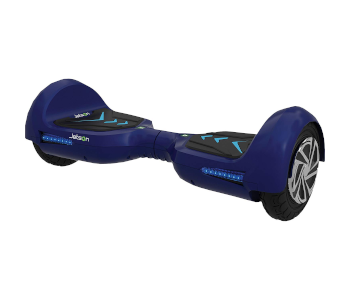 The board is powered by two 400W motors, one for each wheel. These motors push the board to a top speed of 9 mph and can climb slopes up to 15 degrees. It also comes with two 8.5-inch all-season tires that deliver great traction on different surfaces such as grass, sand, gravel, even light snow. It also comes with 36V lithium-ion battery that will allow you to travel for 9 miles on a single charge. Charging the hoverboard takes a bit of time as well as it takes 2.5 hours to fully charge the battery from zero. 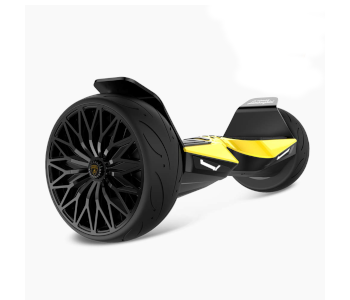 The Lamborghini Hoverboard is a great choice for a gift for those who want a unique experience. The premium quality and the build make this a one-of-a-kind gift to your friends and loved ones. TOMOLOO is a well-known reliable and innovative hoverboard maker. They manufacture a wide variety of boards including high end ones like the V2 Eagle. The design of this board resembles that of an eagle’s wings spread out, thus the name. The Eagle is fitted with dual 400W motors that allow the board to accelerate up to 12 mph, one of the fastest boards available on the market. It uses lithium-ion batteries that are equipped with TOMOLOO’s Intelligent Management Battery System that provides the board with a 12-mile range. As for the design of the Eagle, the materials are made with strong and tough materials that allow the rider a more stable and secure riding platform. The surfaces are also equipped with rubber foot pedals that reduce vibrations to ensure optimum comfort as you ride. The board is also equipped with RGB LED lights that make you visible to traffic when traveling at night. One interesting feature of the Eagle is its intelligent app system that allows you to change the colors of your LED lights using the companion smartphone app. You can also control steering sensitivity, speed limit, battery status, and mileage. It also comes with built-in Bluetooth speakers so you can enjoy your music while you ride. The Eagle is an off-road machine with 8.5-inch all terrain wheels that can travel on grass, gravel, tile, and concrete. The Jetson V6 is a powerful hoverboard that uses two 350W motors to power it up to a maximum speed of 10 mph. It uses a Samsung battery as its power source and has a range of 15 miles on a single charge. The Jetson V6 has three speed modes: beginner, intermediate, and advanced allowing you to choose the performance level of the board. These different modes allow you to enjoy the board no matter what your riding experience is. You can use any of these speed modes or set the speed manually according to your skills and experience. 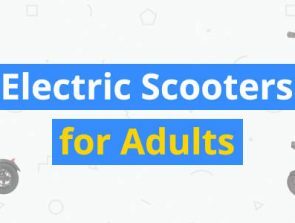 Like many boards in this category, it has some sort of app integration allowing you to track your speed, travel distance, and even locate your hoverboard using your smartphone. You can also use the app to share riding ideas on social media and challenge friends and family to some fun hoverboard achievements. The Jetson V6 comes with adjustable LED lights at the front to alert motorists to traffic during the night. You can also play your favorite music on built-in Bluetooth 4.0 speakers. It is also water-resistant so you can use it even when it rains and ride through deep puddles. These hoverboards may be more expensive than other self-balancing scooters, but they are worth their price. They passed all government safety tests, so you don’t have to worry about troublesome incidents in the future. They also boast powerful motors that allow you to travel at higher speeds and longer range compared with others. These boards also have sleek and sturdy designs that allow you to ride in confidence on your way to work, school, or for fun.